Now, imagine that you can actually tune into a perfected mind. Imagine that there is a mind model which represents the perfect path of your evolution. This is what Babaji's mind is: a perfected model of evolution. When you meditate and invoke his being, you establish a connection between your mind and his mind. As soon as you establish this "bridge", renewal starts happening naturally. So, instead of connecting with just any mind vibration around you, you connect with a very specific line of evolution. This is why you use a certain formula. It is not just any word. It is a specific code which allows you to "click" into his consciousness. It's like getting his location in space and being able to direct your "satellite mind dish" in the exact direction. Meditation has a high level of magic in it. It goes beyond the usual well known limits of your mind. You penetrate into a new world of sensations and perceptions where all laws are shifted. This connection wakes up this sense of limitlessness. 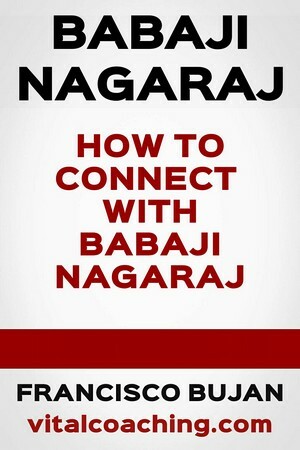 You connect with Babaji because it is a choice. You are not forced to do it. You own your "mind meditation dish". You decide what to do with it.